The event was staffed with all the product managers and senior engineers that are working on the all the product line. This gave me as Barracuda partner unrivaled access to ask questions and gain insight from the actual guys developing the products. The First day was where they had some training sessions in the afternoon on a few new technologies such as Barracuda's Zero Touch Deployment (ZTD) service. ZTD is a service that allows for the firewalls to be ship direct to customer/branch site and download the configuration for that firewall from your Control Centre server without any engineer having to touch and configure the firewalls. This is a great feature for those large scale deployments. In this session, there were great live demos of ZTD that showed how easy it was to use. The other training was for WAF (Web Application Firewall) as a service. Which is a new service Barracuda is launching to provide the great WAF but without any of the management overhead and responsibility for the infrastructure. This is a great tool for small Web developers that don’t want the responsibility and cost of the extra security infrastructure and have a Pay as you Go method of protecting their Web application. The second day started off with very useful sessions was on why Barracuda have Rebranded their firewalls and moved away from the name NextGen firewalls to their new CloudGen firewalls series. The reasoning behind the apparent updated name change is that Barracuda want to differentiate that they truly provide so much more than the traditional next-generation firewalls. With the Barracuda firewall providing all the NextGen features plus their SD WAN capability across the range and how they have truly embraced public cloud computing and have developed firewall platforms for all the main public clouds(AWS, Azure and Google cloud platform). There also an update about the next major firmware release for the CloudGen firewall 8.0. With 8.0 bringing in a new kernel 4.14 which is based on centos 7 allowing the CloudGen firewalls to move to a 64bit operating system. Thus giving the boxes better performance. With the new kernel allowing lower overhead for data syncs between CPUs. On the products front, they had a great demo station illustrating their new ruggedized firewall the F183R. This new little firewall has all the full complete CloudGen firewall functionality inside a small fanless, dust proof, shock proof little chassis that withstand temperature varying from -40 to 70C. This makes the F183R a perfect candidate for the manufacturing sector to protect legacy manufacturing equipment with their outdated operating systems and truly protect production lines from ransomware and other security threats. So to conclude my trip, It has been the perfect introduction to what Barracuda is all about and their vision for the future. I have learned a great deal about the products that Barracuda are offering how they can benefit our client in the future. 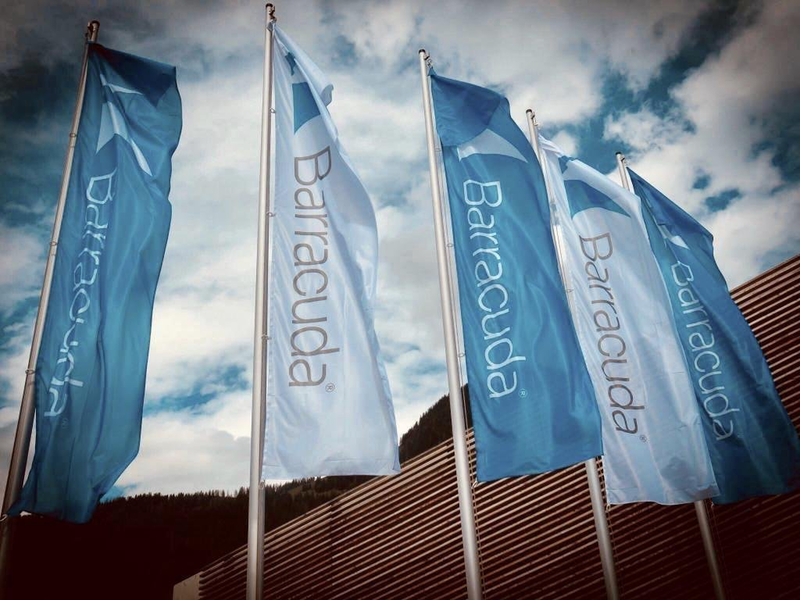 What is inspiring is to see how enthusiastic all the staff of barracuda are about the company and the products they are working on.